By Dona Sarkar and Brandon LeBlancHello Windows Insiders, today we are releasing Windows 10 Insider Preview Build 18309 (19H1) to Windows Insiders in the Fast ring. When originally announced on Build 18305, this experience was only available for Insiders on the Windows 10 Home edition. 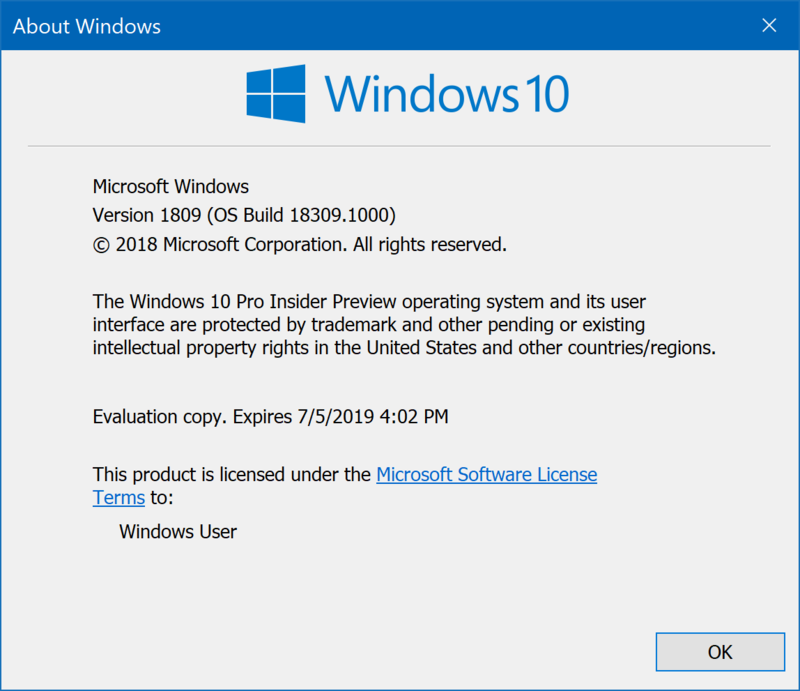 With today’s update, Insiders can try it out on all Windows 10 editions. We’re pushing forward on eliminating passwords and keeping your accounts safe with another cool feature. With Build 18305, we announced support for setting up and signing in to Windows 10 with a phone number account, without having to create, or deal with the hassle of a password for Insiders using the Windows 10 Home edition. Today, that support is extending to all Windows 10 editions! If you have a Microsoft account with your phone number, you can use an SMS code to sign in, and set up your account on Windows 10. Once you’ve setup your account, you can use Windows Hello Face, Fingerprint, or a PIN (depending on your device capabilities) to sign in to Windows 10. No password needed anywhere! Almost done now and only about 1 3/4 hours, one of the easiest builds I have installed. I will attempt this one tonight after work.